A former Mary Kay consultant comes clean about her interactions with her customers. The truth behind the pink… false compliments, recruiting and sales tactics, ulterior motives, false earnings claims… all the norm in Mary Kay when someone is trying to move up! I probably used a “sincere sounding” compliment when I first saw you so that I could start a conversation with you, and hopefully sell you some Mary Kay. I used an event like a “Face Model” evening (which is nothing more than our regular rah-rah meeting with a new name to make you fee special) to get you to come and listen to a recruiting pitch. I sell you overpriced products. You could get similar quality for about half the price at Target, Walgreen’s, or Wal-Mart. If you wait long enough, I will offer you deep discounts because the company is (again) changing a product or a packaging, so my inventory is quickly becoming obsolete… and you benefit! I’ll pester you at least four times a year, call you to see if you’ve gotten our catalog and if you need anything. If you’re lucky, at least two of those times I’ll try to twist your arm into having a “check up facial” and invite a few friends. Once or twice a year I’ll be inviting you to come to some open house or utilize my gift service. Even though I know the last thing you probably want to give as a gift is Mary Kay. 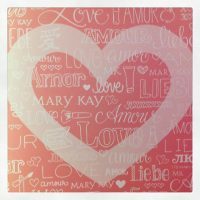 Anything I discuss with you about Mary Kay will have me “so excited.” Get used to hearing those words a lot. At least a couple of times a year, I’ll try and recruit you into Mary Kay. At first I’ll tell you about how great you’d be at doing what I do and that you can replace your current income with Mary Kay (by working only part time!). After you resist my advances several times, I’ll move onto other reasons why you should do Mary Kay, ending with “Don’t you want to get your products for 50% off for the rest of your life” if I have to. If you do ever go from being a customer to being a recruit, I have a whole new line of questioning for you, beginning with “when are you placing an order.” No matter what you’ve told me about your intentions, I will pull out all the stops to get you to give a MK career a try and order lots and start recruiting for yourself. At some point you may realize that being my customer is a burden you’re no longer equipped to deal with. You decide it’s much easier to go to a cosmetics store, pick out what you want, and be done with it. And you’re right! Everyone Can Hold 2 Mary Kay Classes a Week! Fake compliments as per MK herself. Limited actual pitiful training. I cringed at the thought of doing a bride and her bridesmaids, mom etc on her wedding day. I had barely been in MK for 5 weeks. My director showed up late and her glamour skills were non existent. Also when I think of the wasted time spent on passing out those horrible MK booklets complete with pricey, inferior products I am embarrassed that I believed this con to begin with. What a horrible waste of time and effort. I knew within days that MK was fake. I wanted to believe that MK herself really cared about empowering women. Sadly to anyone reading this, return your product immediately. MK is a waste of time. Worst MK is a soul sucking, emotionally draining and abusive mlm. MK sells the product to consultant for 1000% mark up then consultants only to sell to “customer” for a 100% mark up.